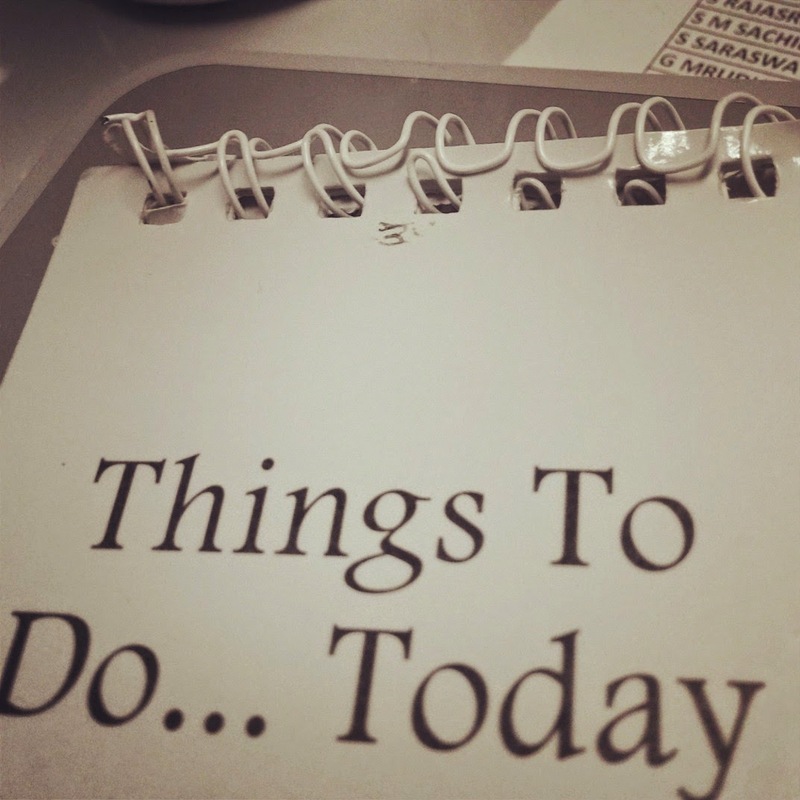 "Jot down 6 important things to be achieved on a given work day, basis priority and keep striking off what you achieve." Read this long time back in a book on women achievers, don't remember the Name of the wizard. It does make a lot of sense amidst piles of files, operational emergencies, baby calls and what not! This is keeping me from straying away from actual deliverables of the day! Hope you all are doing well and hope Friday evening comes rushing to you! I have to do so many things!